Our tech lives are full of pain points, but at least the world’s tech geniuses seem committed to solving them. Today who complains about the things that bugged us a decade ago, such as heavy laptops, slow cellular Internet, the inability to do e-mail in planes? It was only a matter of time before those geniuses started tackling one of the longest-running pain points in history: passwords. We’re supposed to create a long, complex, unguessable password - capital and lowercase letters, numbers and symbols, with a few Arabic letters thrown in if possible. For each site. Don’t reuse a password. Oh, and change them all every month. Sorry, security experts. Not possible. Not for an average person, not even for you. Nobody has that kind of memory. 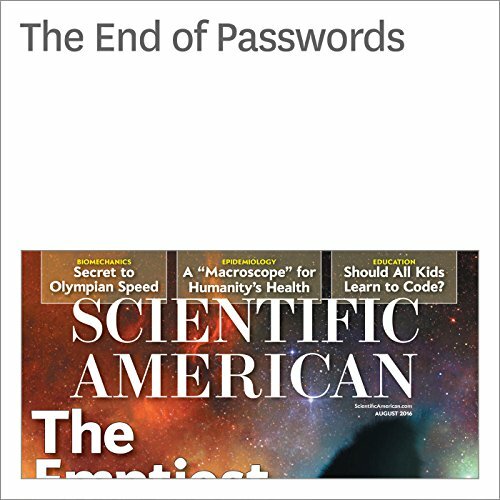 "The End of Passwords" is from the August 2016 issue of Scientific American.